Final Fantasy XV Director Hajime Tabata, who left Square Enix and formed his own development company, is currently at work on a Paralympics-themed sports-RPG. It’s called The Pegasus Dream Tour. Tabata’s new studio, JP Games, is behind the project and collaborating with the Paralympic Games. This marks the first time the International Paralympic Committee has gotten involved in making a video game. 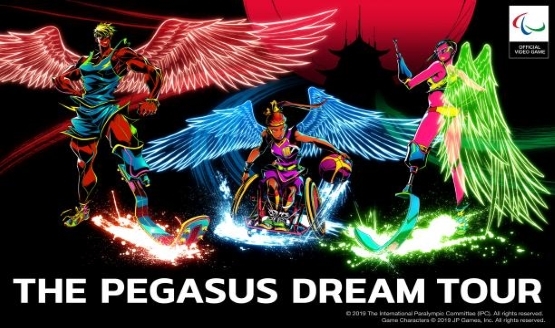 In The Pegasus Dream Tour, players take part in a virtual Paralympic Games in a metropolis called Pegasus City. Throughout The Pegasus Dream Tour, you get special abilities and some sort of Xtra Power. This could be a unique title, as the sports RPG genre is fairly untapped, but few details have been given about how this game will be played. JP Games stated that this RPG will be available on various platforms, including smartphones. A release on PlayStation systems could be possible, though the platform was not confirmed in the press release. Hajime Tabata worked at Square Enix as the director of Crisis Core: Final Fantasy VII, Final Fantasy Type-0, and Final Fantasy XV, before he left the JRPG powerhouse late in 2018. When Tabata announced his departure, a significant portion of Final Fantasy XV‘s planned DLC was canceled. Episode Ardyn was the last installment for the game. Tabata began his own company in Tokyo, JP Games, and The Pegasus Dream Tour will be its first project. While the final moments of Final Fantasy XV’s development left him in an awkward place, Tabata said that he parted with Square Enix amicably. He has since had an opportunity to shift gears. This sports RPG seems like it could be a dramatic change. Hopefully, JP Games will deliver on the promise of giving people a new look at the Paralympics with The Pegasus Dream Tour. Does this concept sound interesting to you? Let us know in the comments below!